With the increasing case of Cyber theft and online hacking, the use of VPN is almost inevitable especially if you need extra privacy and online security. Although there are many effective VPN apps out there, but the only problem is that they are all paid app. And that is one reason why Opera has decided to introduce its own free unlimited VPN app on all desktop platforms. After launching its free unlimited VPN for android and iOS users, Opera has finally decided to introduce the free VPN to the desktop users. Although this new VPN is intergrated with the latest Opera desktop browser, so all you need to do is to upgrade to the latest Opera 40 browser on either your windows, Linux or Mac OS. 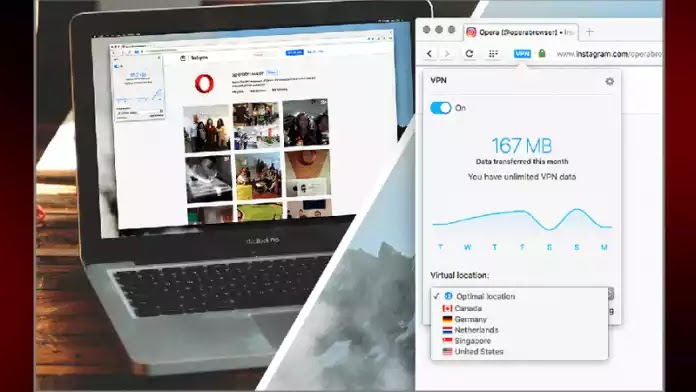 The latest Opera 40 browser for desktop offers free, unlimited, no log required VPN service, and just like the opera mobile VPN app, it also gives you the ability to choose from any of the five available servers which are Canada, Germany, The Netherlands, Singapore and United States. For Mac users, launch your opera browser, navigate to preferences >> privacy and security >> then toggle the VPN. While for Linux and windows users, navigate to settings >> privacy and security >> then toggle the VPN. You can download the Opera 40 browser HERE. I really like this operating system. I hope that you'll add some ideas on the topic, so we could use them too. That was interesting. Thank you for all the descriptions you've added here! It was really interesting and I do appreciate your work.